Masvingo – Masvingo Provincial court has finally granted Movement for Democratic Change led by Morgan Tsvangirai (MDC-T) the go ahead to hold its proposed star rally to be held in Zaka. The rally was initially scheduled for October 8, 2016 but the police delayed granting clearance. In their founding affidavit where officer commanding Masvingo East was respondent, complainants, Simon Ziki and Peter Chigaba argued that they were being tossed around from one office to the other by police in an effort to have their Zaka rally cleared but in vain. "On October 2, 2016, we went to the respondent's office with intention to deliver our application to hold a rally at Gumbo Business Centre in Zaka….The respondent refused again and referred us back to Masvingo again," reads part of the affidavit. "The respondent did not give us anything, written or verbally which demonstrates that the regulating authority fears that there is threat that our proposed rally will result in a serious injury to participants on the rally or other person or extensive damage to property or other public disorder. "He is the regulating authority of the area but chose not to do his duty to the detriment of the rights of the citizens and against the law. That is clear that from his actions he does not want this rally to take place and do that without any reasonable cause," further reads the affidavit. The rally has however been moved to October 15, 2016. 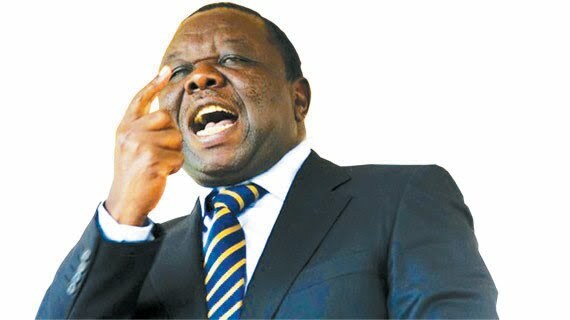 "MDC – T vice presidents, Nelson Chamisa, Elias MUdzuri and Thokozani Khupe will address the gathering," said Chigaba.